Step inside any mamak or kopi tiam from Kuala Lumpur to Malacca and you are guaranteed to find patrons sipping on steamy tin mugs of teh tarik. Sweet, earthy and soothing, this beverage is a cherished fixture of Malaysian culture, forging warm childhood memories and wafting away the stresses of busy workers. Take a sip and you will taste Malaysia. Black tea, sugar, condensed milk. Together, these ingredients sound like they make for an almost standard cup of tea, but it is teh tarik’s preparation that makes it special. Read on to discover more about teh tarik, Malaysia’s national drink. Although a quiet, unrelenting war regarding teh tarik’s origins rages between Malaysia and Singapore, it is best understood as a drink created by Indian Muslim immigrants who came to old Malaya for work. With demand for labour booming all over the Southeast Asian continent, it is no surprise that a sizeable number of them also migrated to Temasik, now known as Singapore – which was a part of Malaya until its separation in 1965. The immigrants brought with them their tradition of sarabat, or drink stalls, and worked as chai wallahs selling tea to the factory employees and miners. This concept soon became a staple of everyday life, and everyone regardless of race or nationality came to enjoy the beverage. What ingredients are in teh tarik? While typical Indian tea was made with the addition of extra spices, giving it the identity of chai, the Malayan-based tea sellers had to improvise with whatever they had around. Shipping spices all the way from India just for tea was not affordable; hence came the use of condensed milk, which changed the flavour of the tea significantly. As for the type of tea used, the strong robust flavour is attributed to the use of tea dust. Tea dust(remnants of tea leaf processing) was used widely among Indian Muslim immigrants, as it was the cheapest source of tea they could afford on their meager wages. It is known that tea dust is unavoidably bitter, so the chai wallahs discovered that the condensed milk helped alleviate the bitterness. The tea was then ‘pulled’. The mixture is poured back and forth between two pitchers; this way the milk and sugar was found to have combined with the tea more effectively than by stirring with a spoon. The thick, rich and foamy drink produced was so pleasing, that the method of ‘pulling’ tea became the only acceptable way to do it. 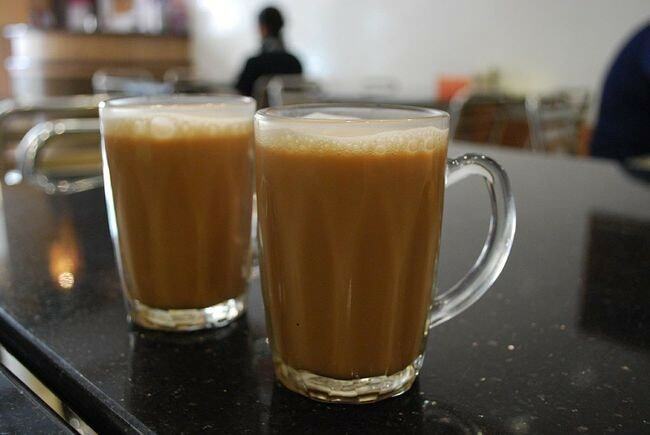 Locals dubbed the chai derivative teh tarik – literally ‘pulled tea’. Now the sarabats (tea-pullers) are mostly out of date, but teh tarik still exists in mamaks run by the descendants of Indian Muslim migrants and also in Chinese kopitiam coffee shops. The only differences are that depending on where you drink it, the amount of condensed milk varies. Indians tend to drink their teh tarik on the sweeter side, compared to the Chinese; and is served in glass mugs in mamaks and tea cups in kopitiams. The art of ‘pulling’ tea has become widely regarded as an amazing display of showmanship, so much so that Malaysia often holds competitions for stylistic skills, and competitors never fail to put on an acrobatic show. 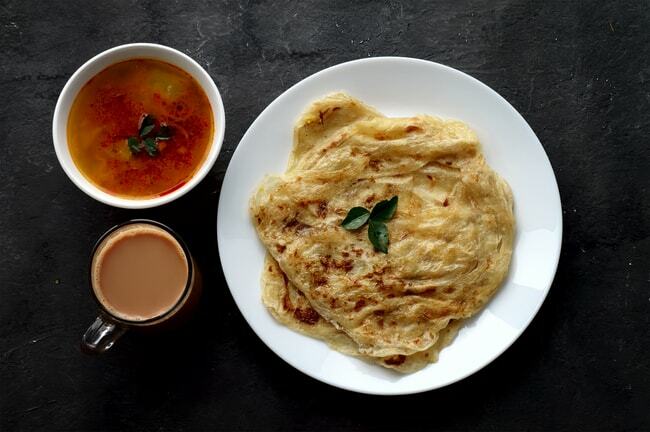 Teh tarik is consumed by everyone at anytime of the day, but is most commonly drunk during breakfast and supper time, with a meal of roti canai and curry. An iced variation, simply named teh ais (iced tea) is available should the heat of tropical Malaysia be a little too much. Should you wish to order a less sweetened version, simply ask for it to be ‘kurang manis’ (koo-rang ma-nis).